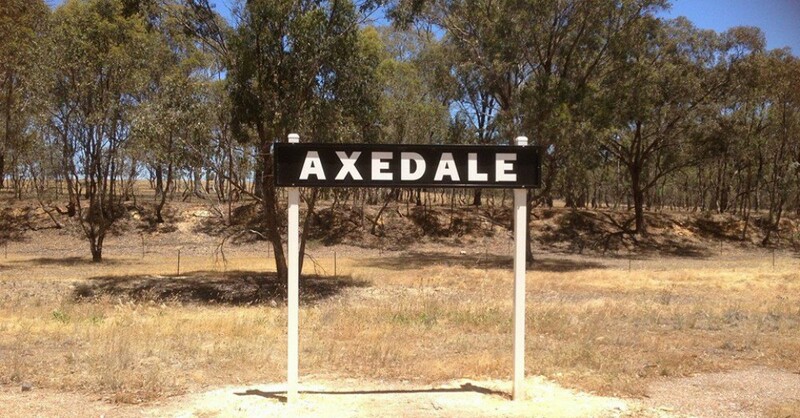 Saturday 23 January, was a great community day in Axedale. It was the day of the Axedale Quickshear and Quickchop. The Quickshear is an annual event, with the Quickchop being added to the event this year. Shearers and woodchoppers come quite long distances to compete. The winner of the shearing competition sheared 3 sheep in 1 minute 59 secs. His clippers were flying across the sheep’s wool. There were the ever popular market stalls, selling things such as arts and crafts, childrens clothing, candles, and all sorts of other goodies. Admission was free and there were lots of activities for the kids. The petting zoo, as always, was very popular. There was also face painting, a jumping castle and many other fun activities. All money raised from this popular event goes to the organisers, Axedale Primary School, Axedale Pre-School and Axedale Public Hall Committee. The crowd seemed to be much larger this year. It was great to see so many locals and visitors getting together and having fun. This entry was posted in Uncategorized and tagged Axedale, Quickshear by Jennifer Jones. Bookmark the permalink.